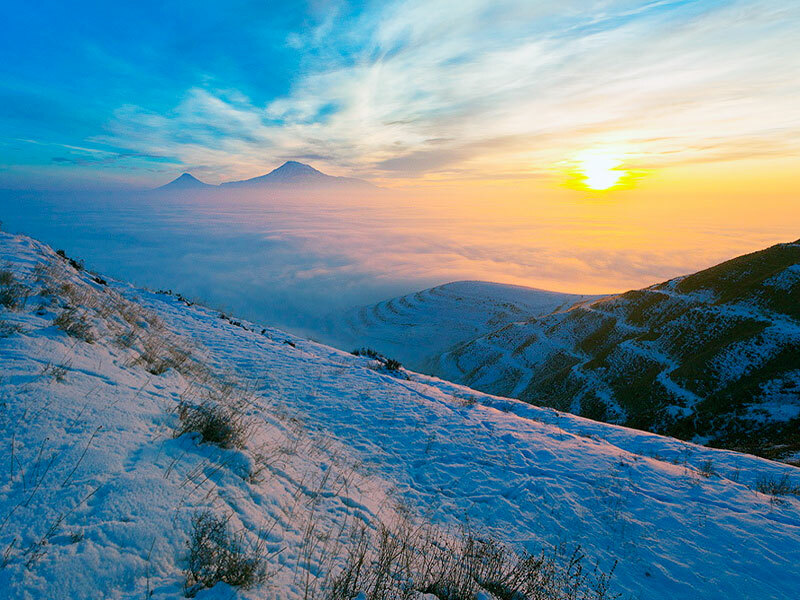 Winter begins in Armenia in late November / early December. It does not last long, and the weather is generally mild, not severe, sometimes snowy. In Armenian capital, Yerevan, the average daily temperature in December ranges from +5 to -5 C. Sometimes it snows, and although the snow does not stay for a long, the city plunges into a real winter wonderland. In December, the capital completely changes: everywhere you will feel Christmas atmosphere, the city is decorated with festive lights, and the people are gradually beginning to prepare for the upcoming holidays. With the onset of winter, the locals prefer to wear warm coats and jackets, hats are not very common, but many people prefer. If you dress warmly, you can stroll through the festive streets of Yerevan, see the central Republic Square with its main Christmas tree, visit the colorful Christmas fair on the Northern Avenue, ice skate at the rink near the Opera and Ballet Theatre or participate in city events and concerts. If you get cold, you can warm up in the cozy cafes and restaurants of Yerevan, which you will meet all the time. In January, the temperature slightly decreases and it may snow more often. At this time, the country is preparing for one of the most important Christian holidays – Christmas, which is celebrated on the 6th of January. On Christmas Eve many churches held celebratory service, and if you drive out from Yerevan to Etchmiadzin, the religious center of all Armenians, you can take part in the main Christmas liturgy of the country. In February, the temperature in the capital starts rising a little, and by the end of the month, there is already an aroma of approaching spring. Even at this time the weather is unstable, and it may fall and suddenly get colder. Winter holiday in Armenia is especially exciting in mountainous areas, namely in ski resorts, which offer excellent opportunities for extreme lovers. In contrast to Yerevan, the temperature from December to January in these regions is lower, for example in Tsakhkadzor – the most popular ski resort in Armenia, it ranges from +3 to -10 C. From the mid-December it snows a lot, and the snow stays till the end of February. 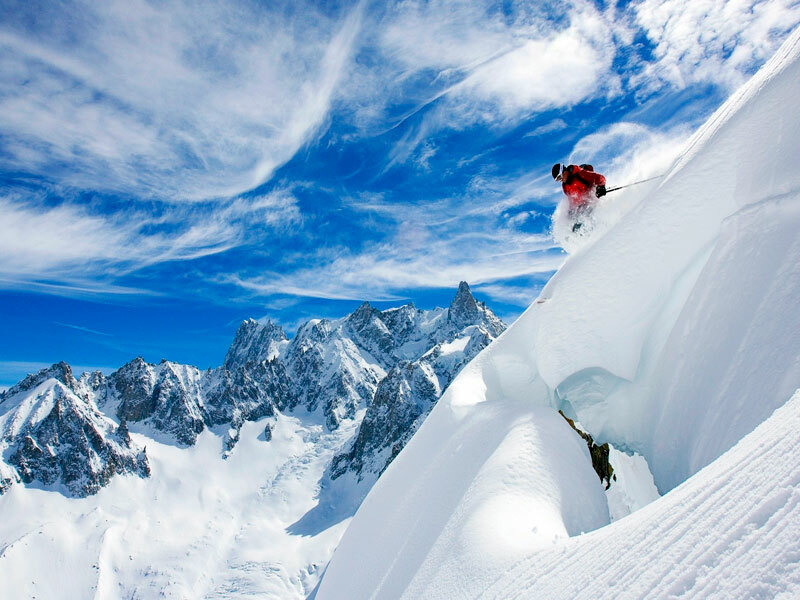 Due to such favorable weather, the whole winter you can enjoy skiing, snowboarding, and sledding. As you can see, the winter vacation in Armenia is no less attractive than in other seasons. The country has a lot to offer to its guests for an interesting pastime. A more detailed and interesting options for the winter holiday in Armenia can be found in our previous article, and if you want to spend the New Year holidays here, we recommend our fascinating New Year Tours. Spring is a season of love and beauty. From the 1st of March, you can feel in the capital the approaching of warm weather, the temperature starts increasing and people pass to less warm clothes. The rainy period starts with an average temperature +10 / +14 C. Considering the weather in Yerevan as a starting point, do not forget that the weather in Armenia will vary from region to region. In March, all begin to prepare for the International Women’s Day, which is celebrated on the 8th of March, the shops begin selling the first spring flowers, among which the most favorite are snowdrops. With the beginning of April, it is getting warm, the trees blossom and get green. 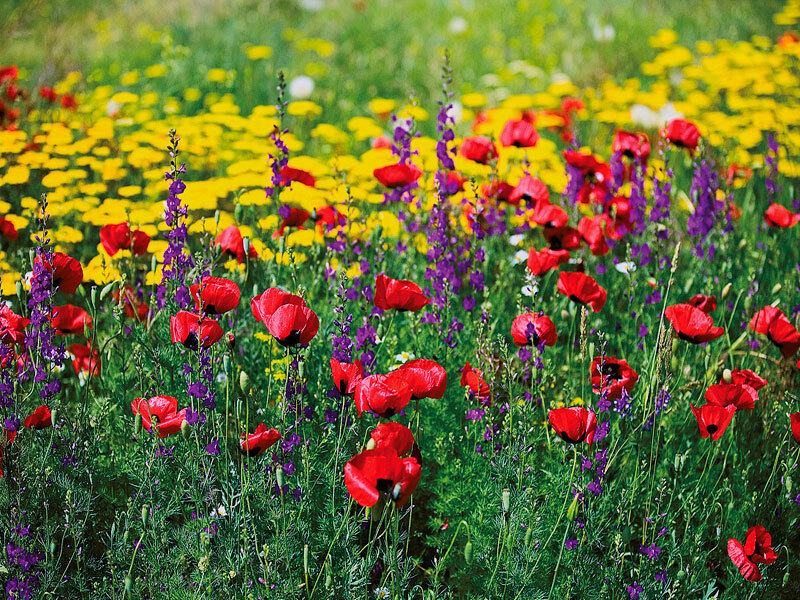 These wonderful spring days when it is getting warm, nature awakes from its long sleep, and everything is blooming, Armenians celebrate the National Day of Maternity (7 April) and congratulate their mothers, grandmothers, sisters and wives and give them beautiful gifts and warm wishes. On this day, the country holds special events, concerts, children’s competitions and exhibitions. 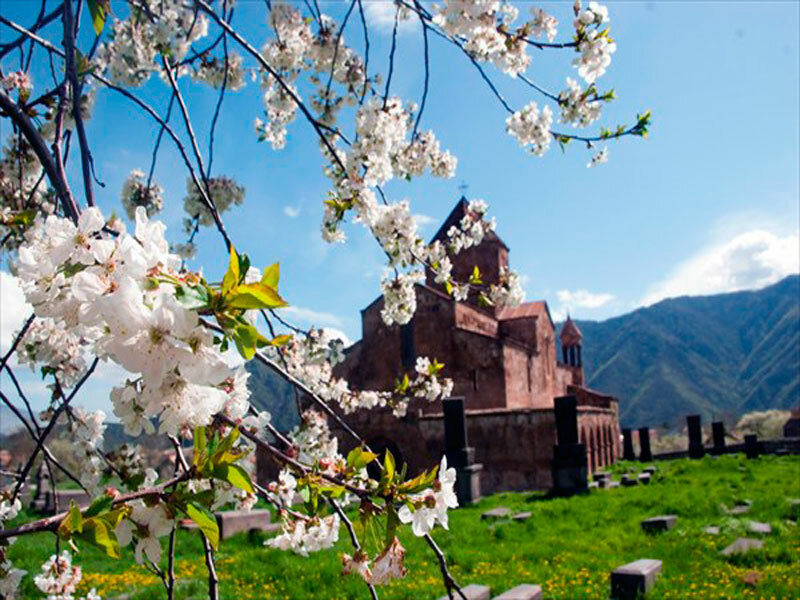 If you will be visiting Armenia between April and May, we recommend going to the most beautiful corners of the country, enjoy the fresh spring air, the warm rays of the Armenian sun, beautiful meadows, which are beginning to be covered with flowers. You can go to the resort town of Dilijan, travel to the Stepanavan Arboretum, to the Ararat region and enjoy the view of Mount Ararat. 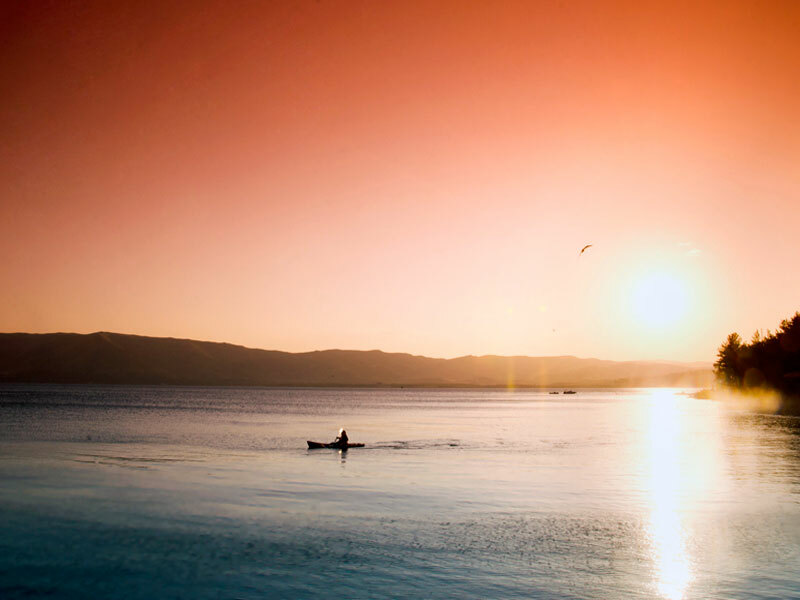 Summer is the perfect time for taking a vacation and going on an unforgettable journey. 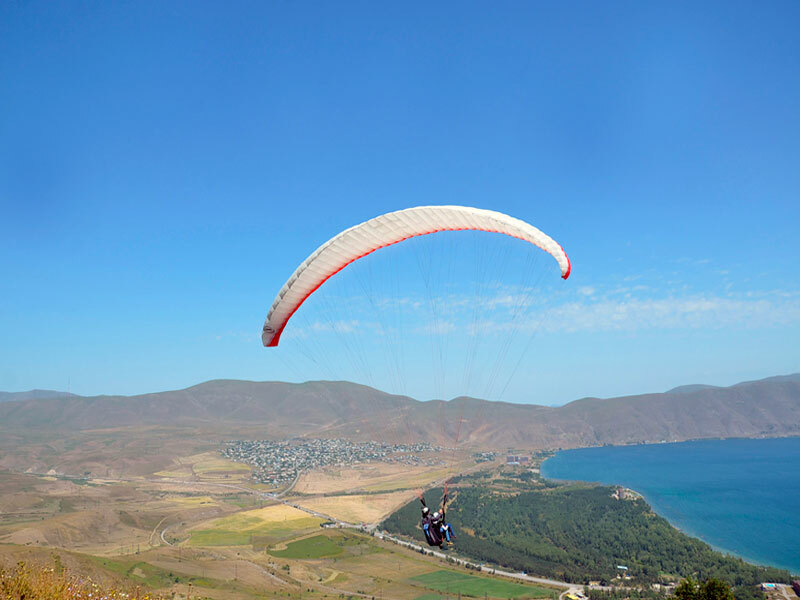 In this season, Armenia offers a package of interesting tourist attractions: hiking, trekking, climbing, paragliding, beach holidays, tours and more. Please note that the summer starts here since the middle of May. In June, everything is filled with lush green colors, the weather is warm with an average temperature of + 23 / + 26 C. In July it gets really hot especially in the capital, and the average temperature is + 26 / + 35 C, and a peak heat is usually in August. This time in order to escape from the dry heat of the city, locals go to the countryside where the air is fresher and you can relax in the lap of nature. 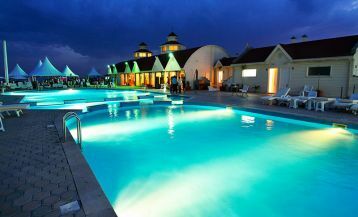 An excellent option is a holiday at Lake Sevan – the pearl of Armenian nature, a trip to the resort town of Dilijan, Jermuk, and Aghveran. Summer is also a period of great variety of bright and juicy fruits and berries in Armenia. Counters are bursting with peaches, apricots, plums, apples, raspberries, blackberries and many others. 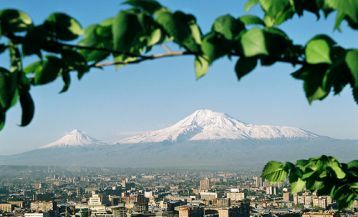 More detailed interesting options for summer holidays in Armenia you can find in one of our previous articles, and also we want to note that our company offers excellent Summer Tours to Armenia. 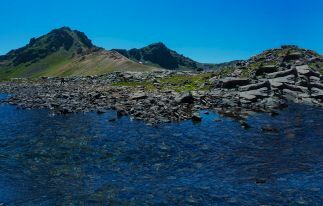 Summer is also an excellent time to enjoy the Hiking Tour in Armenia. 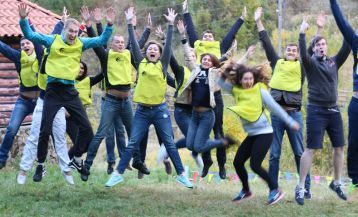 At this time of the year, we also advise you making a trip not only in Armenia but also in Georgia. 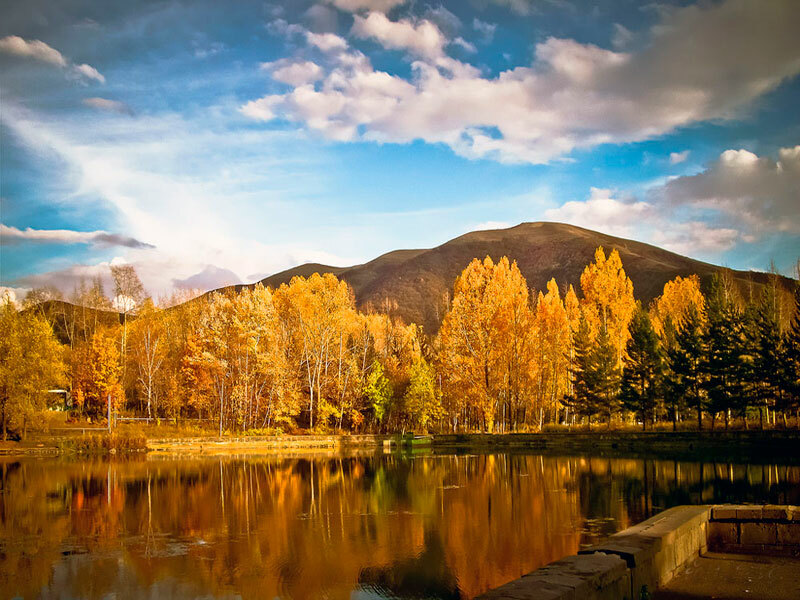 The beginning of autumn is the perfect season in Armenia. The nature starts changing its colors, and the extreme heat is replaced by gentle weather. The rains are rare, and every day pleases its residents and guests with sunlight. Both in the capital and surrounding areas, it is warm, but not hot with an average temperature of + 23 / + 27 C, and it almost never rains during this period. Markets are full of seasonal vegetables and fruits, among which the main place is occupied by delicious Armenian grapes. Grapes in Armenia are incredibly delicious, and there are special sorts from which Armenians make wine. If you want to get acquainted with the winemaking in Armenia you can visit the vibrant wine festival, which takes place annually from 2 to 3 October, in the village of Areni, and is accompanied by a vivid parade of the best winemakers, as well as dancing and singing. Since mid-October, it is getting gradually colder, cloudy and the weather is rainy with an average temperature of + 19 / + 23 C. But despite this, in October too, you can find a lot of interesting ideas for the holidays. 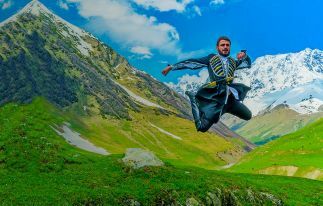 The country organizes another no less bright and cheerful festivals during which guests can get acquainted with the culture and traditions of the country. On October 10, in the village of Khachik in Vayots Dzor region, a festival takes place dedicated to the baking of Armenian national sweet – gata. Guests can try different kinds of that tasty national delicacy, learn the secrets of cooking and witness the preparing of the biggest gata in the world. On October 11 it is held a harvest festival, and the second Sunday of the month is widely and colorfully celebrated City Day “Erebuni-Yerevan”. For those wishing to spend their autumn vacation in Armenia, we offer interesting and rich Autumn Tours. 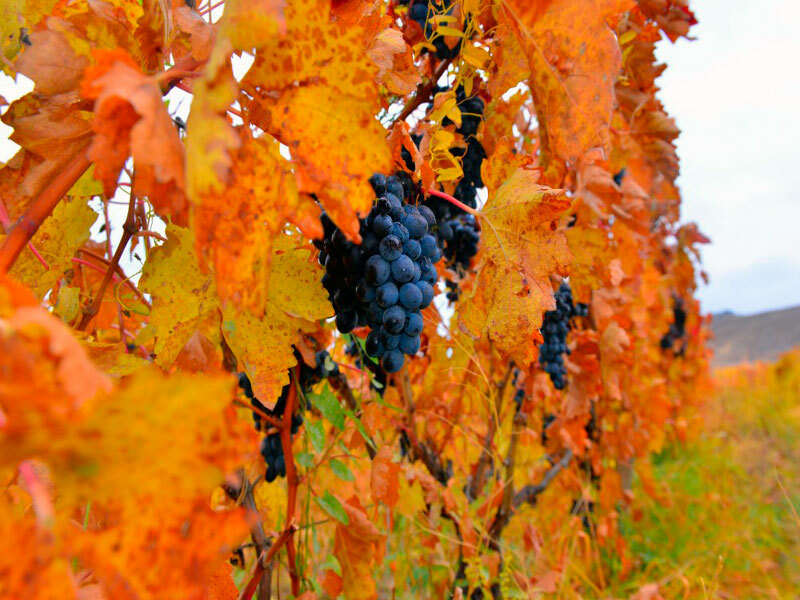 Autumn is also a great time to enjoy the Wine Tour in Armenia.